There are lot of beautiful and interesting places to visit near the hotel. Here are named some of the highlights. The famous Skogafoss waterfall is one of the biggest in Iceland and with it‘s 60 meters height and 25m width, it is overwhelming to see and to stand in front of it. Climbing the 370 steps to the top gives you an amazing view out over southern Iceland‘s coastline and to the two glaciers close by : Eyjafjallajökull and Mýrdalsjökull. Because of the high amount of drizzle produced , in the sunny days, the waterfall is surprising us with such beautiful rainbows, some say the most beautiful in all Iceland. 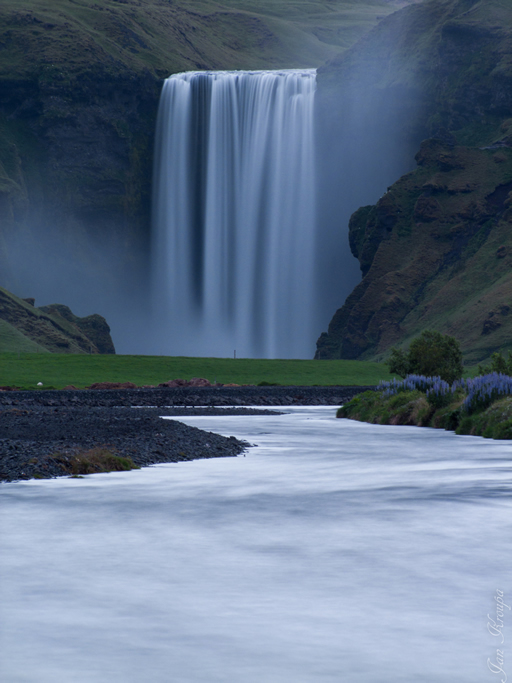 Like all the mysterious places in Iceland , the Skogafoss waterfall has a legend connected to it . Local people believe that behind it, one can find a chest filled with gold and treasures hidden by the Viking Settler Þrasi Þórólfsson, who lived here more than 1000 years ago . Sólheimajökull is a part of Mýrdalsjökull glacier and it‘s easily accessible from Hotel Skogafoss. The road takes you to a parking located right in front of the glacier. There is the meeting point of all the glacier walks or hiking tours which take place in the area. 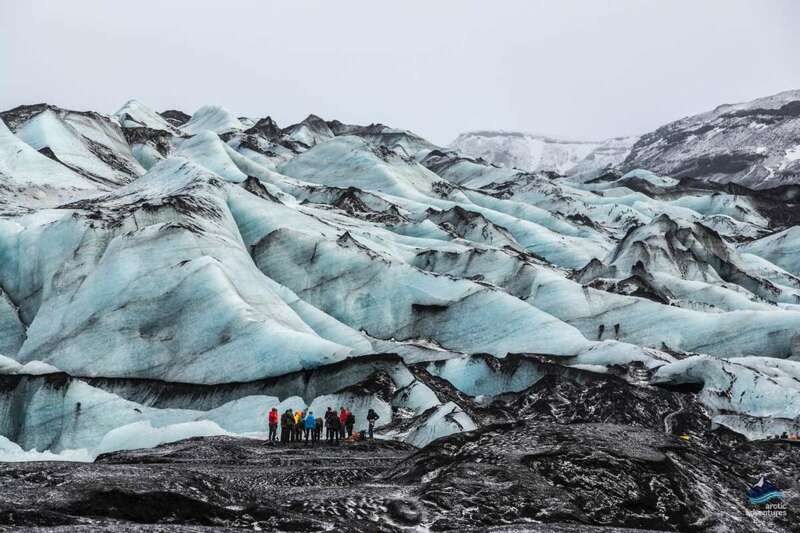 The tours are available all year round and their difficulty is not high, making this glacier very safe and easy to explore. and it contains 3 sections. The folk museum , where you will find a huge variety of tools or artifacts found in the area . 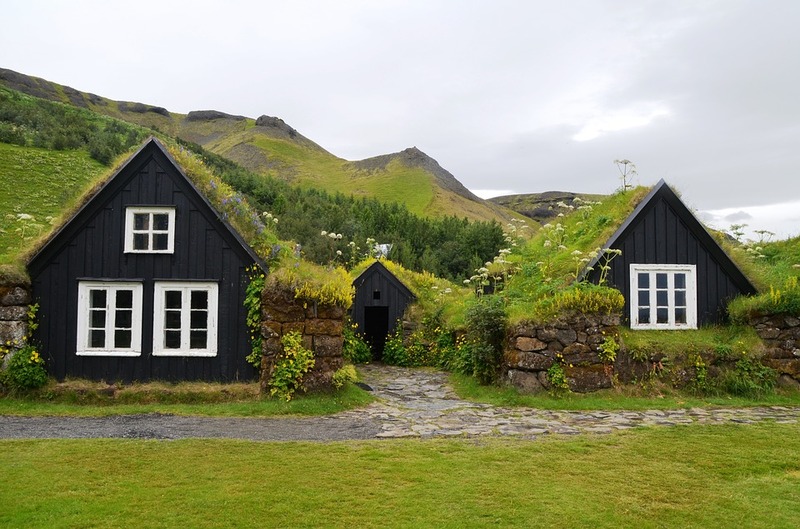 Outside this section you will find the exceptionally rebuilt turf houses where you will get an idea about how icelanders were living in the previous times here. The third section contains the Transportation Museum and a souvenir shop. Here you can observe the development of the technology and transportation in Iceland in the last 100 years. 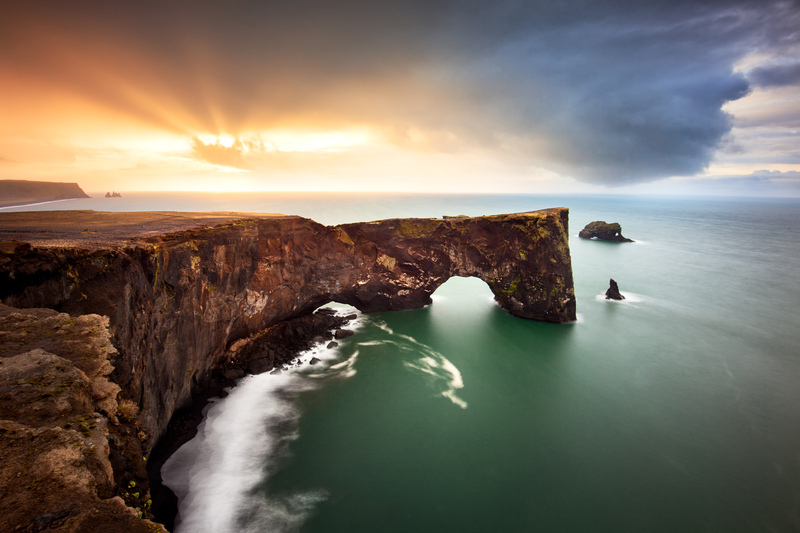 The small peninsula is one of South Coast‘s most recognizable natural formations and it is located just 25 km from Skogar. The views from it are amazing and you can see in the north the Mýrdalsjökull glacier, all the coastline to the west and Reynisdrangar, black lava sea-stacks dipping in the immense Atlantic Ocean to the South. 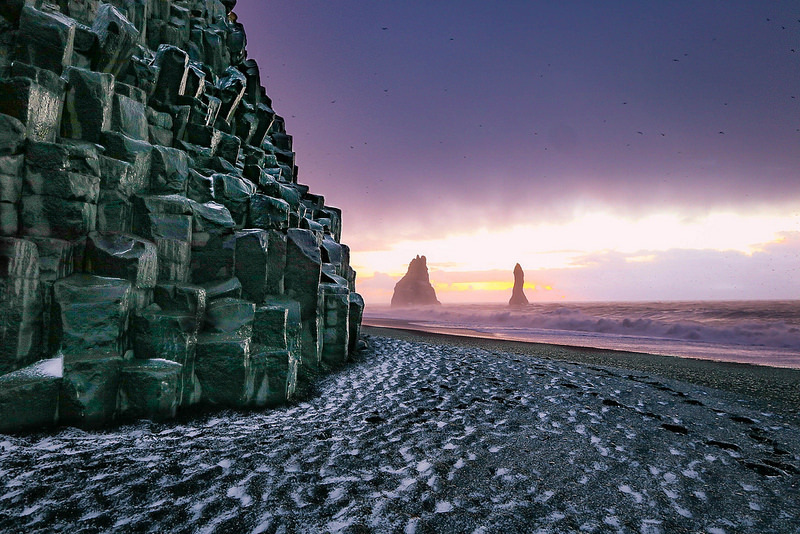 Reynisfjara, which is located 28 km east from Skogar, is one of the most famous black-sand beaches in Iceland. National Geographic placed it in the top 10 of non-tropical beaches to visit on the planet. It‘s panoramic views of the Atlantic Ocean and the enormous basalt columns are trademarks of Reynisfjara. Visitors are advised to be very careful in the area because of the big, roaring waves that are often on the beach.